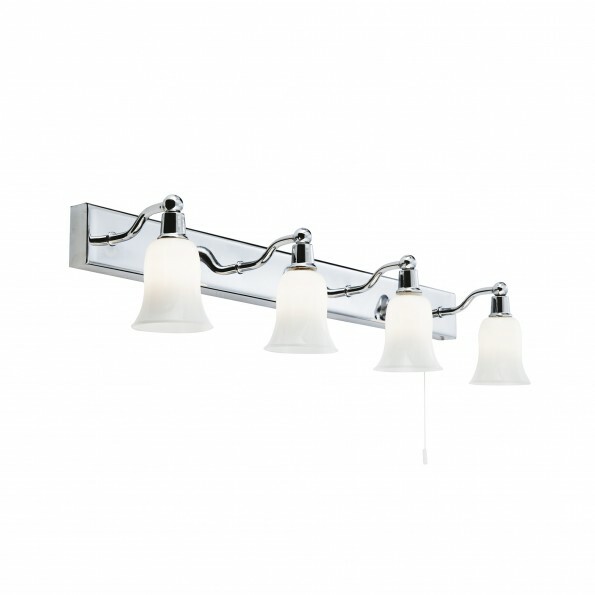 This chrome 4 light wall bar with bell-shaped white glass shades looks stylish in any modern bathroom. 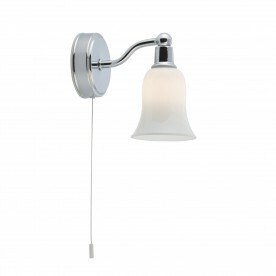 The four lights are attached to an attractive chrome finish fitting and the opal glass shades light up the wall beautifully. 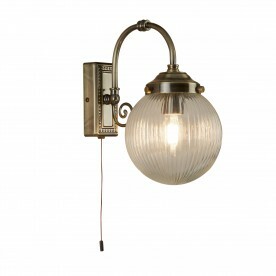 The wall bar also comes with a handy pull cord, which is perfect for convenience. And it is IP44 rated and fully splashproof, complete with LED lamps.